One dozen species of birds make our neighborhood home. So the only birds I ever see are always one of these twelve types. Always. Until this morning, that is. 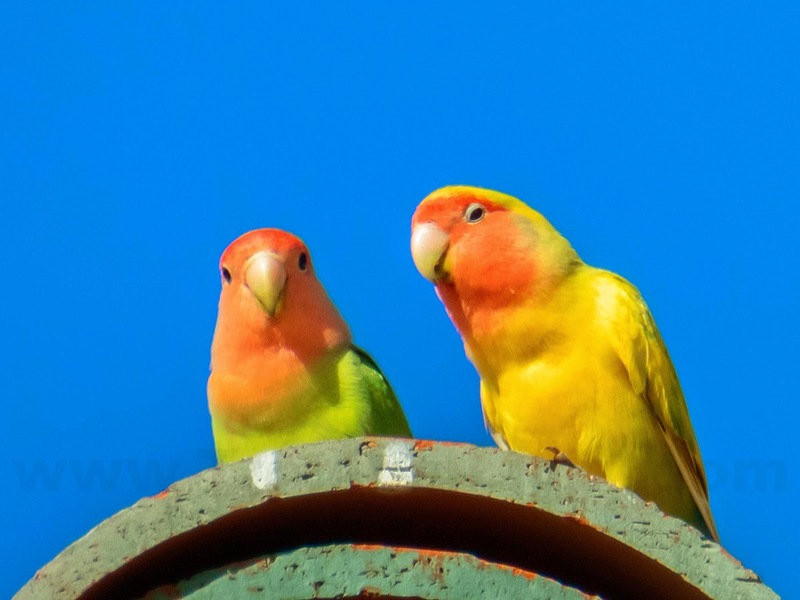 I was quite surprised by the bright colors on the roof of the house across the street and the unusual chirps. 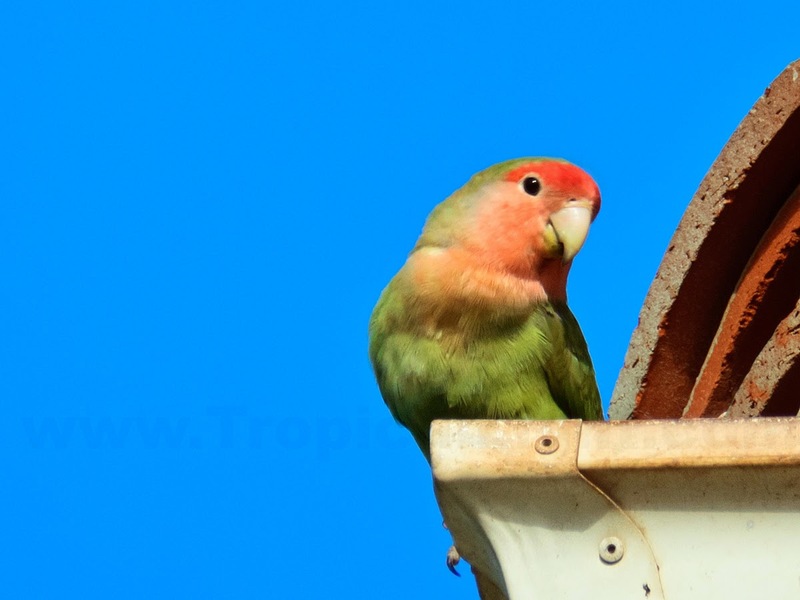 About eight Peachface Lovebirds decided to make a brief visit before heading off.